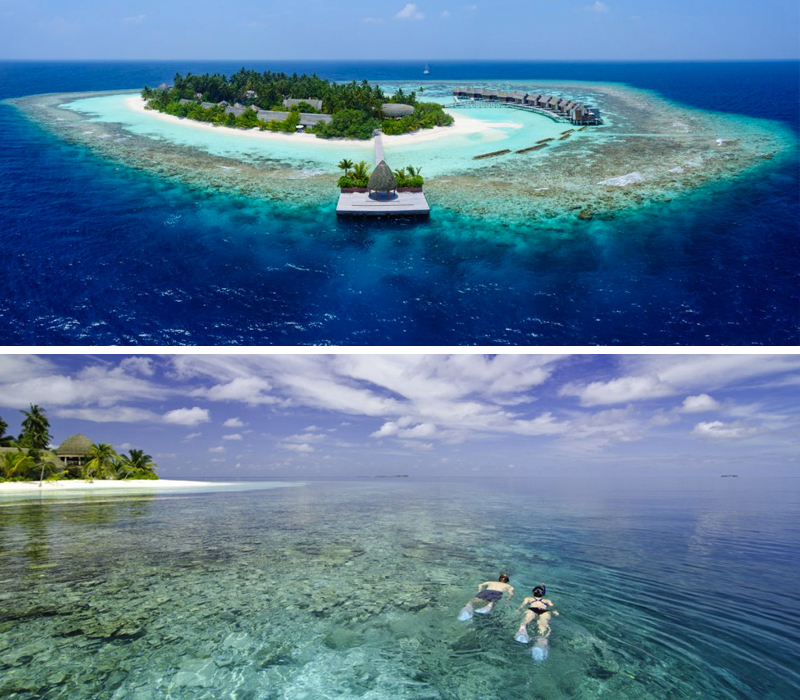 Combining Sri Lanka and the Maldives offers you a once in a lifetime holiday you will never forget. From exploring rich culture, safari experiences and breathtaking nature, to landing on a picture-perfect island framed by white soft sand and having access to some of the world’s most exciting snorkelling and diving spots. With just over an hour’s flight between the destinations, a Sri Lanka and Maldives holiday really is the perfect combination. 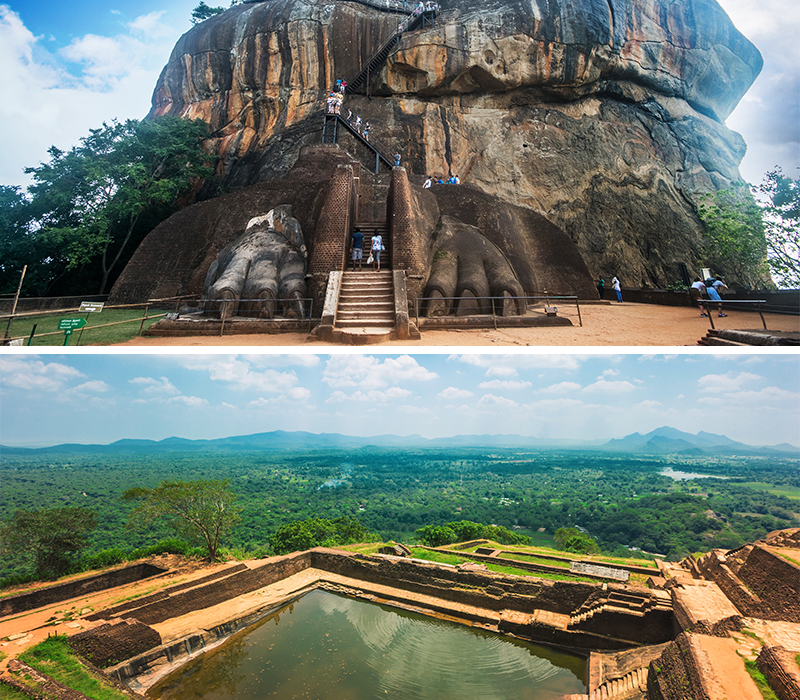 A trip to Sigiriya Rock can’t be missed from your Sri Lanka and Maldives itinerary, but make sure to pack wisely as there are 1,200 steps to climb before reaching the top to unveil the magnificent views. 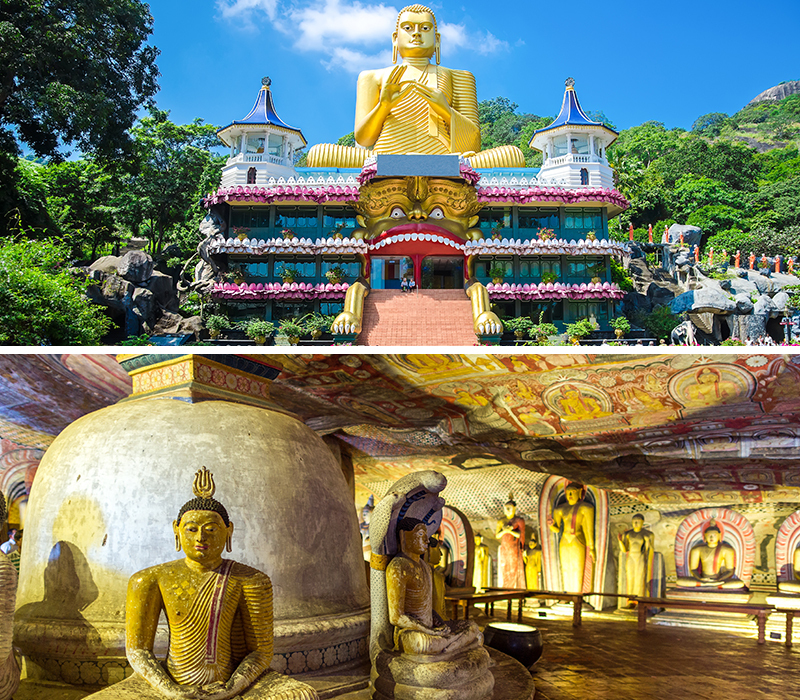 If there’s one temple to tick off your list when in Sri Lanka it’s the Dambulla temple, which has 5 caves and 157 statues. The beauty of this temple can be appreciated inside and out. 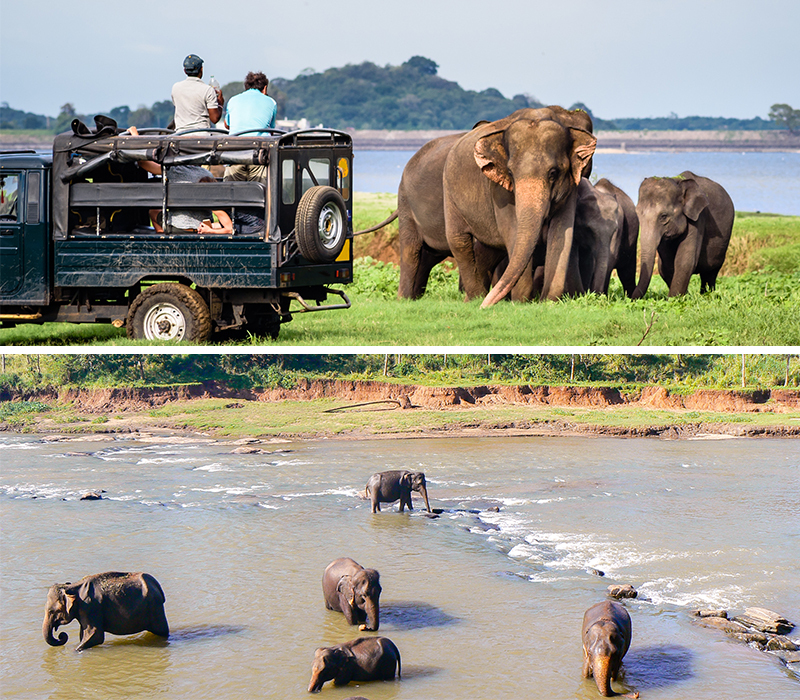 One of our most popular excursions in Sri Lanka is seeing the beautiful elephants up close at Udawalawe National Park, which is considered to be one of the best places in the world to see wild elephants. 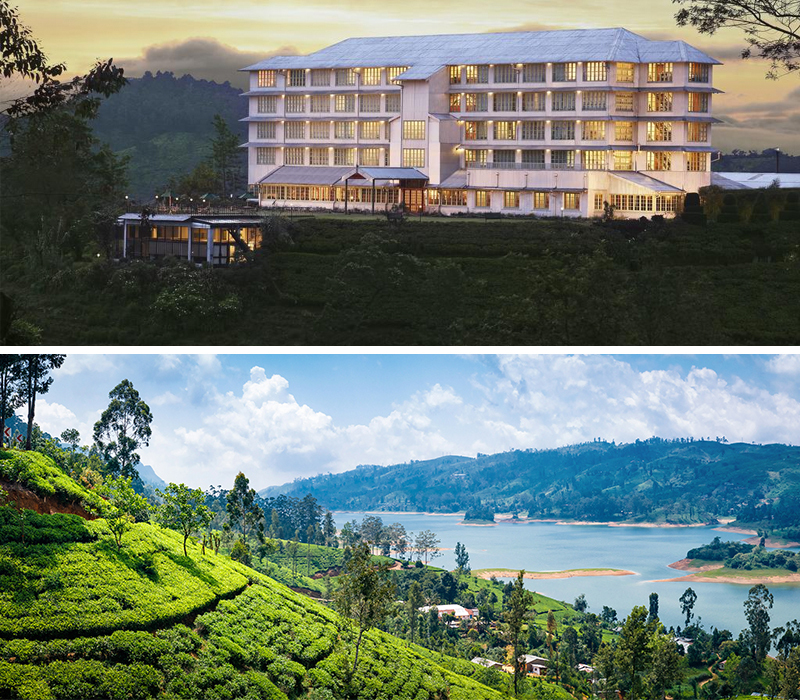 Pluck your own tea at Heritance Tea Factory, which surrounds acres of greenery, high in the mountains of Nuwara Eliya. Explore the organic tea fields where you pluck your own leaves, which are then taken back to be inspected by a chief tea master! 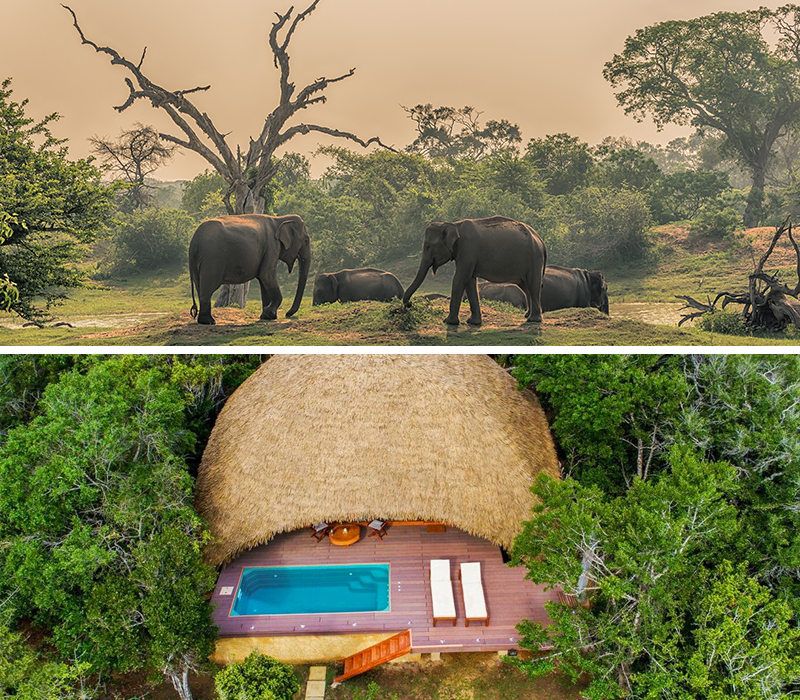 Rich in wildlife, Yala National Park is Sri Lanka’s most famous national park, which homes elephants, crocodiles, buffaloes and monkeys. After your thrilling safari, head to Chena Huts by Uga Escapes with tropical beaches and wildlife, stay in a luxury cabin with your own plunge pool and a relaxing bathroom with free-standing bathtub. Dining is a romantic experience where you can savour Sri Lanka’s delicious cuisine under a canopy of stars by the beach with a romantic bonfire to keep you warm. 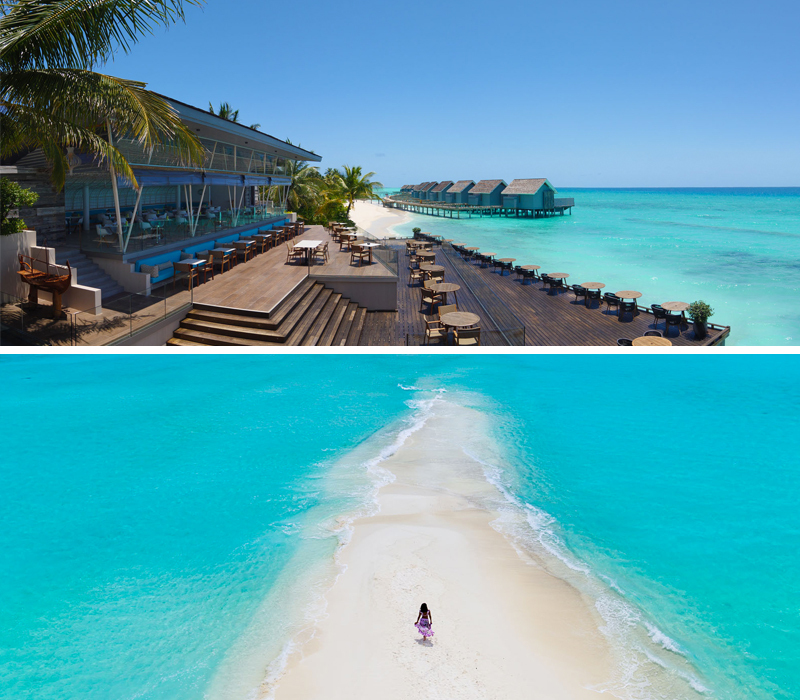 Whichever Maldives Island you decide to go to, the journey getting there is a magical one. 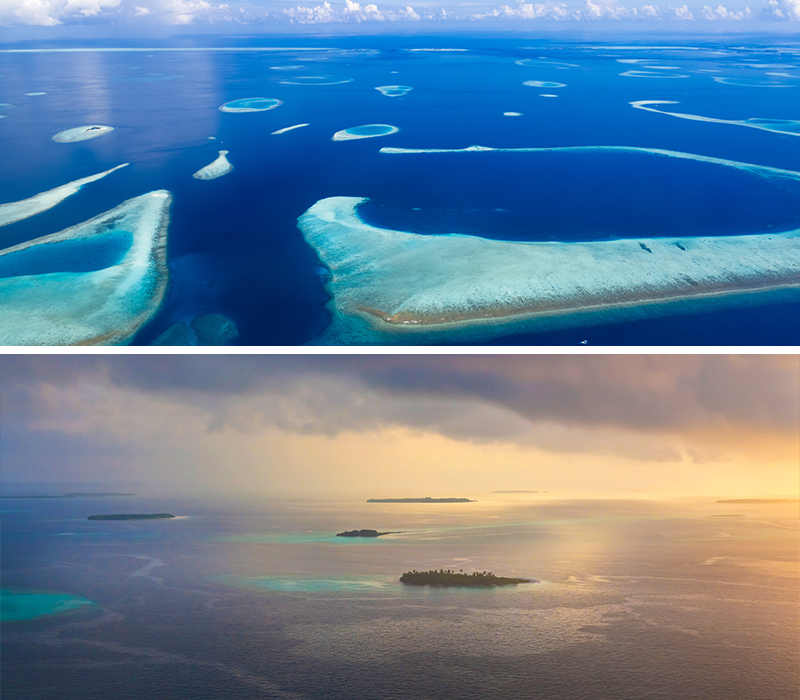 Appreciate the glistening waters as you pass numerous islands along the way to your destination via speedboat, or see the magnificent natural beauty of the Maldives with a bird’s eye view as you take in the breathtaking vistas of deserted islands and natural atolls from above. When you’re not relaxing on the white pearly beach, dip your toes into the glistening Indian Ocean and explore the vibrant marine life waiting below. Kandolhu’s vibrant house reef allows you to enjoy daily snorkelling trips and your equipment is included in your stay. Diving is also excellent here, as you are just minutes from some of the best dive sites in North and South Ari Atoll. Kandolhu offers 3 dives each day on board a Maldivian Dhoni, choose from night dives, half day and full day trips. 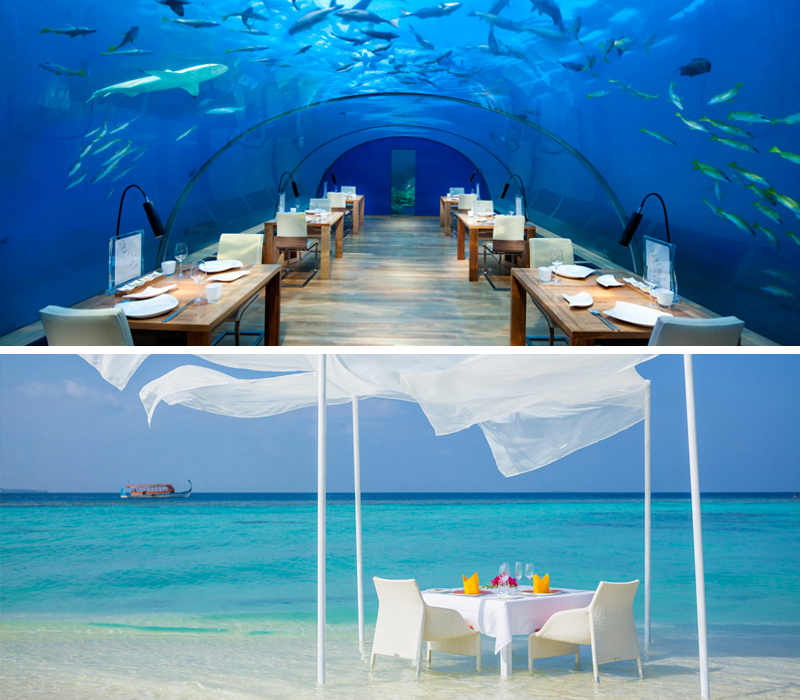 The Maldives is known for unforgettable dining experiences, from dining with the fishes at Ithaa, which is Conrad Rangali Island’s underwater restaurant, to private sandbank dining at Dhigali or enjoy a lagoon lunch right in crystal clear waters at Dusit Thani Maldives. Kuramathi is one of our most popular resorts in the Maldives, offering everything for couples and families. This paradise island has a gorgeous sandbank, excellent dining options, evening entertainment, kids club, dedicated Honeymoon Pool Villa – a great option for families is the Two-Bedroom Beach House, which offers two levels of living for all the family. 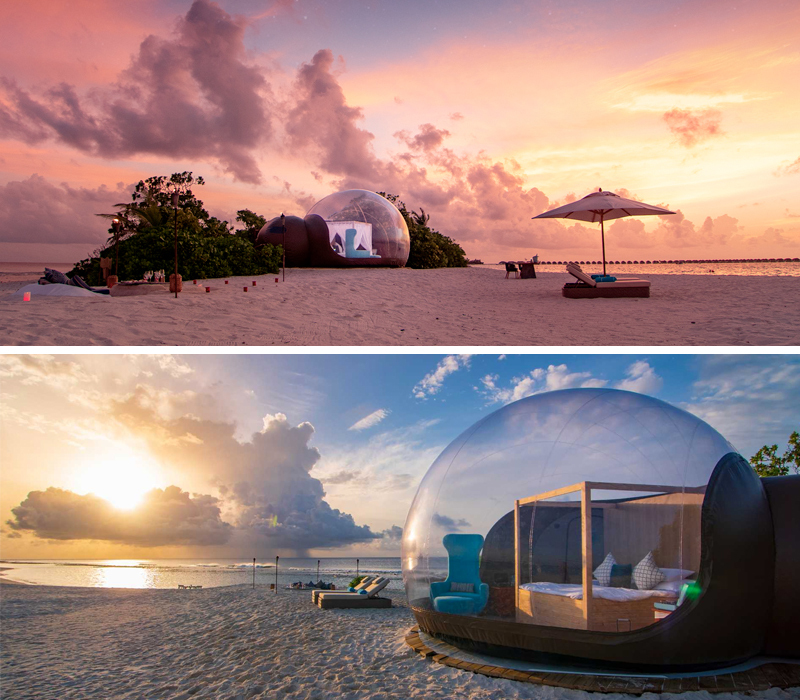 Celebrate in style with a unique overnight experience in Finolhu’s ‘Beach Bubble’ tent located on a secluded stretch of the Fish & Crab Shack sandbank. For exclusive use for one-night-only, enjoy the sunrise and sunset from the comforts of your Beach bubble with custom-fitted wooden floors, bespoke furnishings and an adjoining bubble bathroom with shower. This experience includes a private beach BBQ and breakfast on the water’s edge of the beach.